Today’s little drama involves a dockominium valuation job I had to refuse. Yeah, I know, the money is the same shade of green, so why turn it down? It was the right thing to do. Here’s some background. The dockominium is in foreclosure and the bank has priced it to sell. Sounds good, right? That’s exactly how it looks to the prospective purchaser. It’s in what I would refer to as a tertiary market, meaning an area where the median family income is none too great, the area is not highly developed, and marinas are fairly far and wide from each other (in other words, it’s not the West Coast, Northeast, or Florida). Note that I wouldn’t even classify it as a secondary location since the next major city is quite far away. And by way of information, I’ve got varying opinions on the occupancy, one as low as 65 percent and another as high as 80 percent. It’s a few hundred slips, but only a few have sold as dockominiums. Yeah, I know, there was such a thing as a recession recently (if you believe the government that we’re out of it), so because hardly any have sold is more a reflection of the past than the present. It’s a nicely maintained marina without any buildings or services, but the quality of the wooden docks are pretty mediocre. It’s clearly a plain Jane marina, though in better shape and of a higher construction caliber than what probably comes to mind. 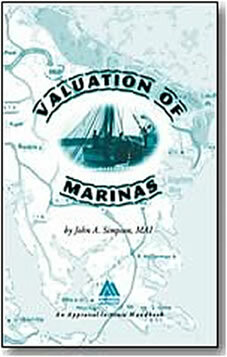 At first glance, it sounds like a regular marina appraisal. With nearly all the slips rented or available for rental, it’ll be an income approach job, right? Here’s where it gets tricky. The purchaser has done his homework, has concluded a sale price per lineal foot of dock, and simply wants a market value that is the number of lineal feet times the market sale price. That way the purchase price from the bank looks like a bargain and this asset has some major upside profit potential! Why, it’s just sitting there like ripe grapes on the vine waiting for the picking. And here I am wondering why I didn’t find it first and buy it. Well… not exactly. You see, the prospective purchaser’s “market value” is what we appraisers refer to as a gross sellout and it’s not market value at all. Let’s deal with the first issue – why it’s not market value. It’s going to take time to sell several hundred dockominiums. The current sales price of competitive dockominiums in the region is nearly zero. So it’s going to take a whole lot of years to sell off this many. How many? Using the prospective purchaser’s estimates, we’re looking at nearly seven years. My estimate? That’s way too optimistic, for reasons I’ll state in Part 2. Now if they could all be sold in a year, there would be no discounting, but clearly the sales revenue going that far into the future has to be discounted to present value to account for such a long sales period. 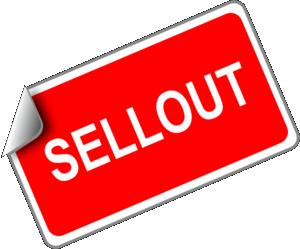 There are no expenses built into gross sellout. 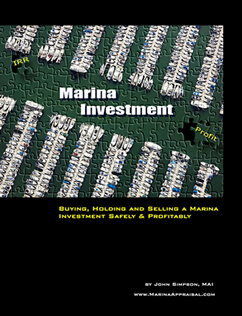 Holding costs like real estate taxes (which are hefty since it’s assessed as a dockominium instead of a rental marina), utilities, sales commissions, insurance, and so on and so forth aren’t included. Management I suppose is working for free? The vacancy rate of 20 to 35 percent is simply too high to indicate there is much demand. When you have marina that is maybe a third vacant, that’s a lot of slips available for rent that aren’t being absorbed by the market. If boaters aren’t renting slips, they sure as heck aren’t buying them! So to just do the math is a gross overstatement. In the next part, I’ll explore some of the more obvious facets that indicate the optimism for this dockominium might be misplaced.